The English Democrats have more than doubled their share of the vote in the European Parliament elections. The party received a total of 279,801 votes, a 2.0% share - up from 130,000 votes and 0.8% share in 2004. 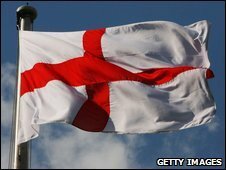 The English Democrats are campaigning for a parliament and first minister for England to redress what it calls the democratic imbalance from devolution. On Friday, an English Democrat candidate was elected as the new mayor of Doncaster.